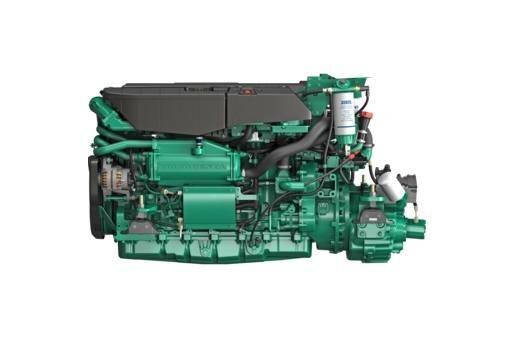 Volvo Penta D11-625 is an in-line 6-cylinder, 10.8-liter diesel engine using common-rail fuel injection, overhead camshaft, and a twin-entry turbo using a water-cooled exhaust manifold. This strong and highly efficient engine offers excellent reliability, long action range and low emissions. Solid and robust: The engine is designed and built to be immensely strong, with a rigid cast-iron cylinder block and cylinder head. This gives high reliability and long-term durability. World-class performance: The electronic management system contributes to making this a very smooth-running engine with world-class diesel performance. The engine's high load-carrying capability provides power and a sporty feeling when needed.